Kent State University’s College of Business Administration is fully accredited by the AACSB. We offer undergraduate, masters and doctoral degrees. We provide a high quality education combined with practical opportunities designed to further develop your leadership skills and professional network; yet our programs are among the most affordable of their caliber. We offer full-time, professional and executive MBA programs as well as master degrees in Accounting and Economics. We pride ourselves on relevant curriculum taught by outstanding faculty and trade experts that prepare you to succeed in the business world. If you are considering Kent State for your MBA, you'll get your first taste of the college's charms through the "friendliness of the recruiting staff." Full-time students can only apply for fall admission, and there are several priority application deadlines during the winter and spring. The school also offers graduate assistantship programs to hel...If you are considering Kent State for your MBA, you'll get your first taste of the college's charms through the "friendliness of the recruiting staff." Full-time students can only apply for fall admission, and there are several priority application deadlines during the winter and spring. The school also offers graduate assistantship programs to help fulltime students pay for their education. To be considered for an assistantship or scholarship, students must submit an additional application form and should apply as early as possible. The average test scores, work experience, and GPA of incoming students vary by program. However, the average GPA and GMAT scores for the entire program were 3.4 and 565, respectively. On the main campus, as well as the auxiliary facilities, Kent State offers a “great atmos­phere and learning environment for its students.” Students are able to maintain a bal­anced lifestyle, as “the workload is enough to keep busy, but not so busy that you can­not have a life outside of school and work.” Plus, “the business school encourages stu­dents to stay involved with extracurricular activities,” like case competition and academ­ic clubs. “Full-time students are more apt to be involved” in campus life than busy part-time students. Nonetheless, “The camaraderie among professional students is very strong” at Kent State. Drawing students from across the globe, the business program benefits from “rich diversity in student culture and ethnicity.” Classroom discussion can become rather lively, and “even if we don’t agree on political or social issues, there is always room for intellectual debate.”Beyond the business school, the greater Kent State University is “large enough to offer any club or activity students are interested in.” Off campus, Kent is “a college town” that offers “opportunities for community service and professional practice,” as well as good old-fashioned fun. Most students in the Professional MBA are already employed when they enter the pro­gram, and may even be receiving tuition reimbursement from their employer. As a result, the majority of these students are not actively seeking employment. However, Kent State makes an “effort to prepare students for life after graduation,” even if they aren’t look­ing for a new job. Across the curriculum, “the classes are well integrated into real-world business careers,” and practical applications are emphasized.While completing an MBA, students have access to various professional development opportunities, including networking events, career planning workshops, and a mentor-ship program, through which students are paired with executives in their field of inter­est. Students can also “consult advisors and a career manager to know more about how to draft a career plan and get fully prepared.” With a strong reputation throughout the state, the school maintains “good contacts with potential employers” in the region. However, students feel Kent State could improve job prospects by “increasing the avail­ability of career fairs and resume-builder nights” aimed at MBA candidates. After completing the MBA program, Kent State graduates earn anywhere between $30,000 and $72,500 annually. A big name in Ohio education, Kent State University serves the Midwest with a range of high-quality MBA programs. Here, young professionals can jump-start their careers through an “enjoyable and enlightening” academic curriculum, offered at “a value price.” Catering to students at every stage of life, the school operates a full-time MBA on the main campus and part-time professional programs at various satellite campuses, including “distance learning for students at the Lorain County Community College and Kent State Stark campus.” Seasoned managers can apply for the fast-paced Executive MBA, and “Kent is one of a few schools in the nation that has a dual-masters degree with architecture and business.” Cost effective and convenient, “Kent State is in the heart of northeast Ohio, which makes it possible to have a career in one of the surrounding cities, while going to graduate school part-time.”Kent State maintains an accomplished team of business professors, who often come to the college from impressive executive and managerial positions. On the whole, “profes­sors are extremely knowledgeable and eager to teach,” and they usually “stay up-to-date on current events and issues related to their fields in business.” At the same time, the classroom experience can be “hit and miss,” with students often noting that, “tenured staff tends not to be as good as younger staff.” In less popular classes, “the coursework is outdated” or too academic to feel applicable. To encourage networking and build soft skills, the program “promotes group work,” and classroom discussions are encouraged. A current student adds, “In the professional MBA program, everyone is working, so we are able to share real-world experiences in the classroom. There is something every night in class that I can take and apply to my job.” Whether they attend in the evenings or full-time, MBA students can expect a “fairly heavy workload” throughout the program. Fortunately, they’ll receive plenty of support from the faculty and staff. At Kent State, “the professors are incredibly interested in the students’ success,” and they are “almost always available for individual consultation on topics not necessarily related to class work.” A student shares, “I am very comfortable meeting with professors during office hours, even when I am not enrolled in one of their courses.” Administrators are also “very helpful,” and make it clear that they “really care about your future success as an individual.” Finally, Kent State is an excellent value. As a state school, “the tuition is relatively low,” while the regional reputation is excellent. Kent State recently opened the Lesbian, Gay, Bisexual, Transgender and Queer (LGBTQ) Student Center located on the second floor of the Kent Student Center. It will serve as the academic and social hub for LGBTQ students. 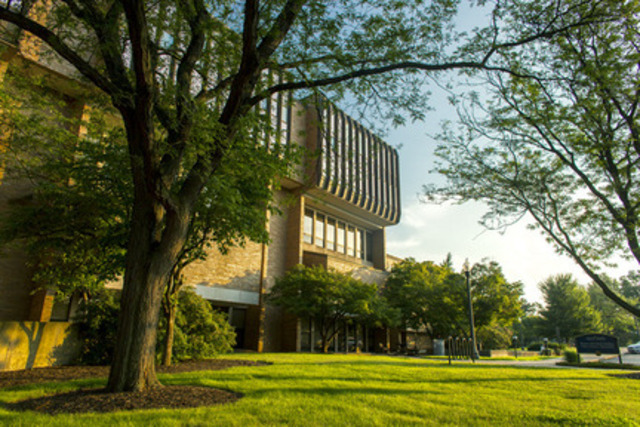 Want more info about Kent State University, MBA Program? Get free advice from education experts and Noodle community members.